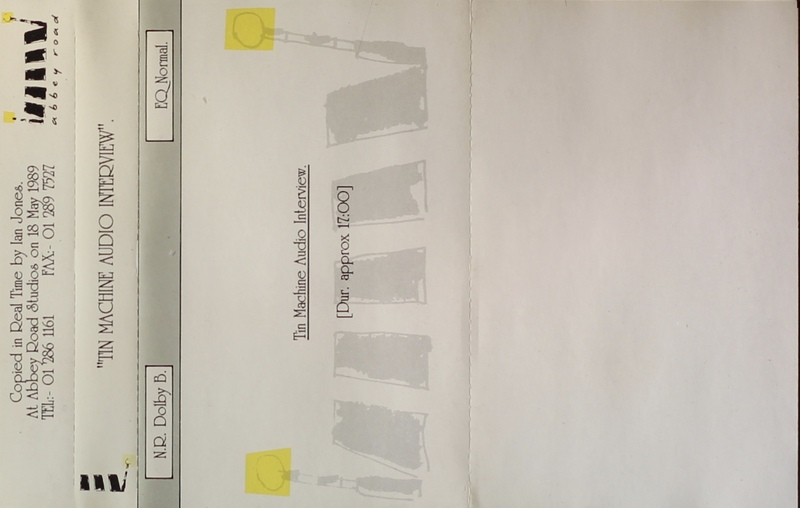 EMI reference tape: Tin Machine Audio Interview: UK; Abbey Road Studios; no catalogue number; 1989. Interview with Tin Machine by Scott Muni. Copied in real time by Ian Jones 18th May 1989. Tape recorded on single side only. 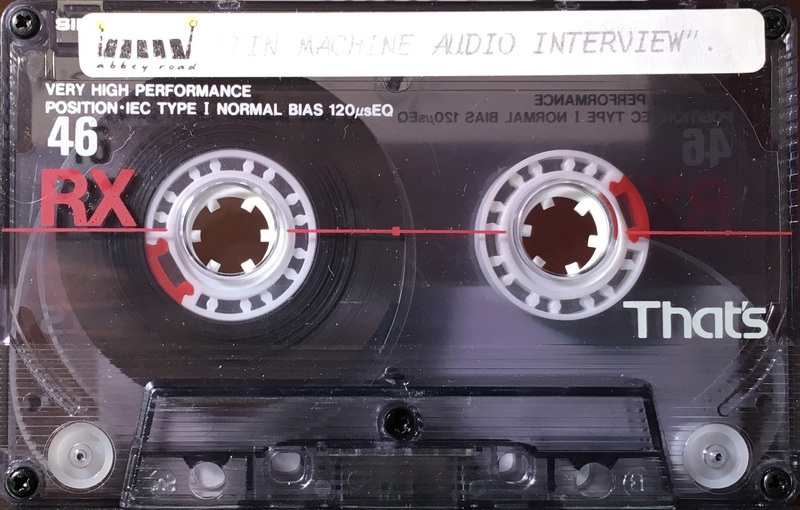 This is the same interview as the Canadian “A Special Interview With The Members Of Tin Machine” interview with Tin Machine by Scott Muni but Muni’s questions are not heard. There are blanks where Muni’s questions have been edited out; this is however a longer tape as more answers are recorded. It runs to 16m:37s (approx) long and then for some reason, the introductions are heard. Produced on ‘That’s RX 46’ tape.